The troop came down from the forest. First the adults- some males, a few females with babies clutching to their chests- then the younger members, the toddlers scampering across the rocks, the more experienced teenagers balancing on branches. The troop was macaques (that’s a type of especially cute looking monkey) and their interest was our boatload of tourists and the bananas that they knew we’d have. As we threw the chunks, they leapt and dived and jumped and swam. 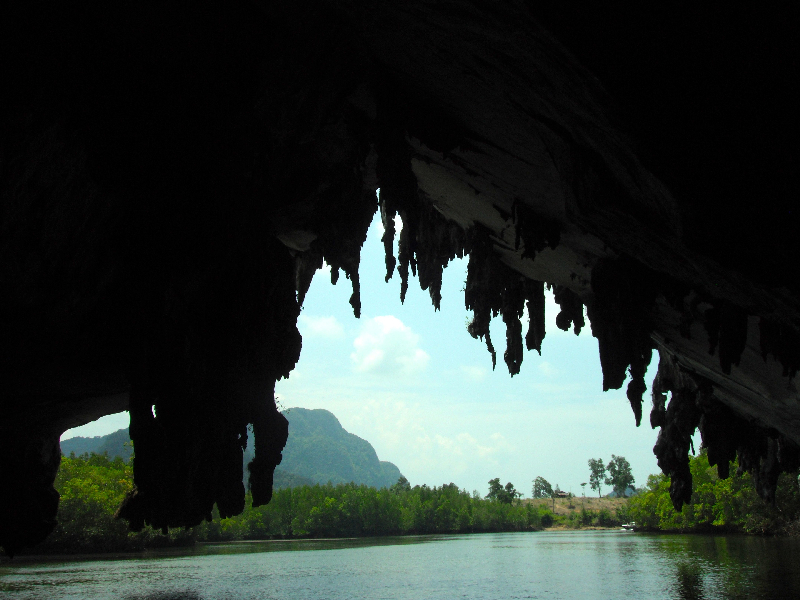 Once all that was left were peelings, the troop disappeared as fast as they had arrive- up into the tree filled limestone cliffs, or karst formations (to be technical). 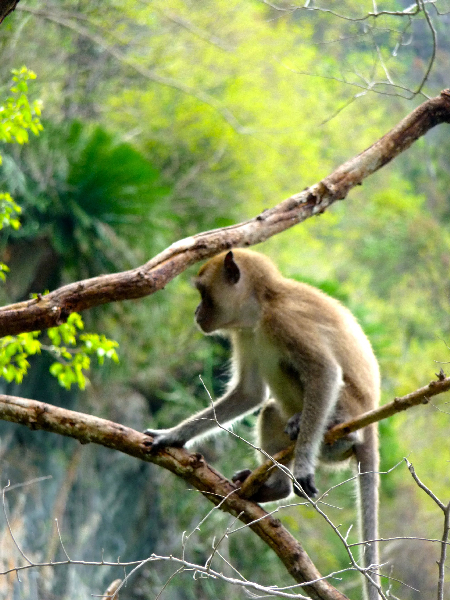 Ao Phang Nga Marine National Park is full of these- both monkeys and karst formations. 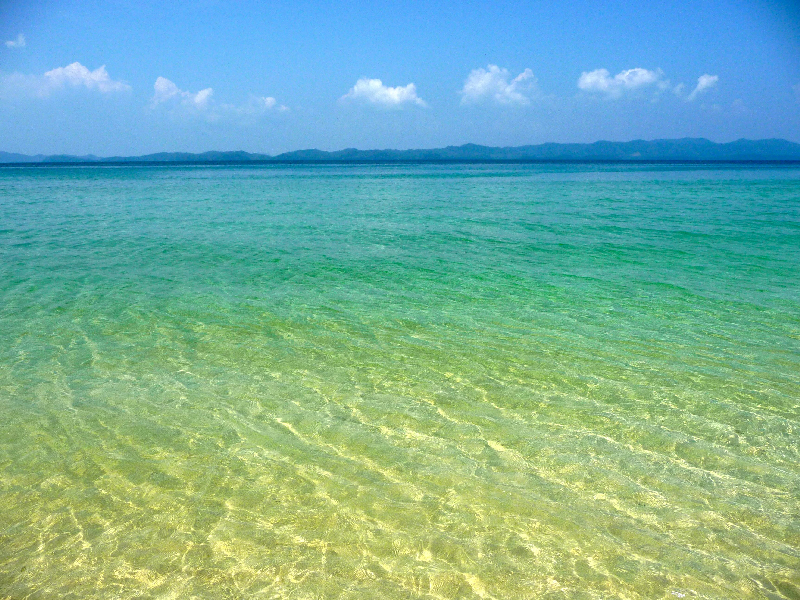 This whole wonderfully turquoise area was once a part of a regional mountain chain. 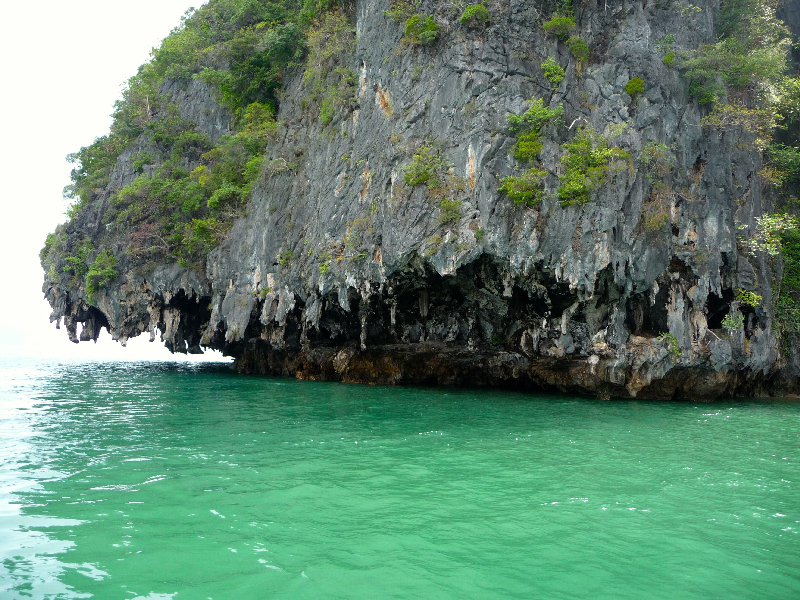 According to the Lonely Planet Guide, there are over 40 of these limestone cliffs- someone counted. 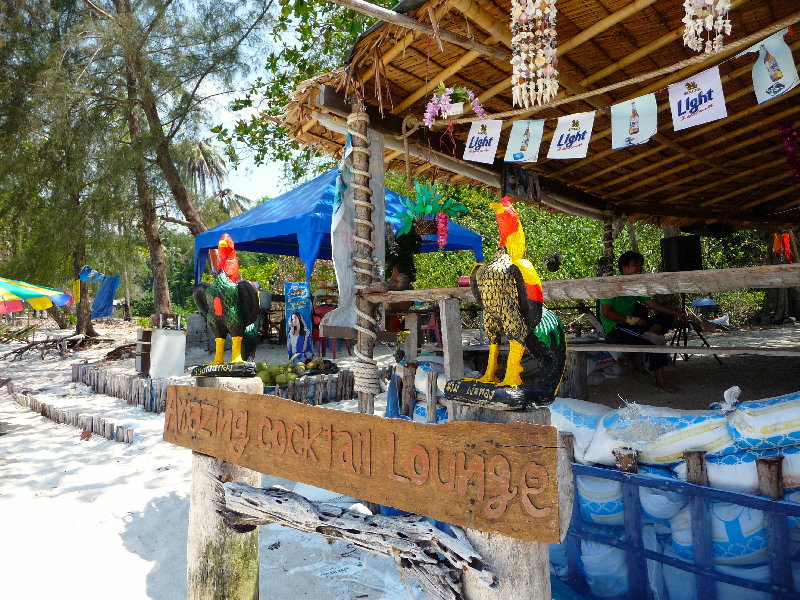 Anyways, many of these have caves and lagoons that can be explored during low tide. Our speed boat was able to go under a couple. 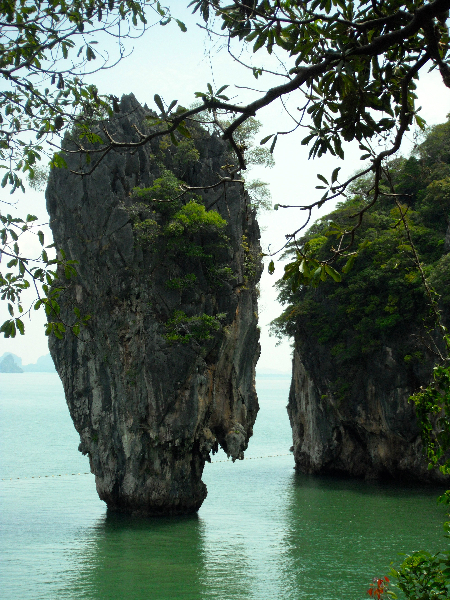 The landmark most people come out here to see is Ko Phing Kan, or James Bond Island. 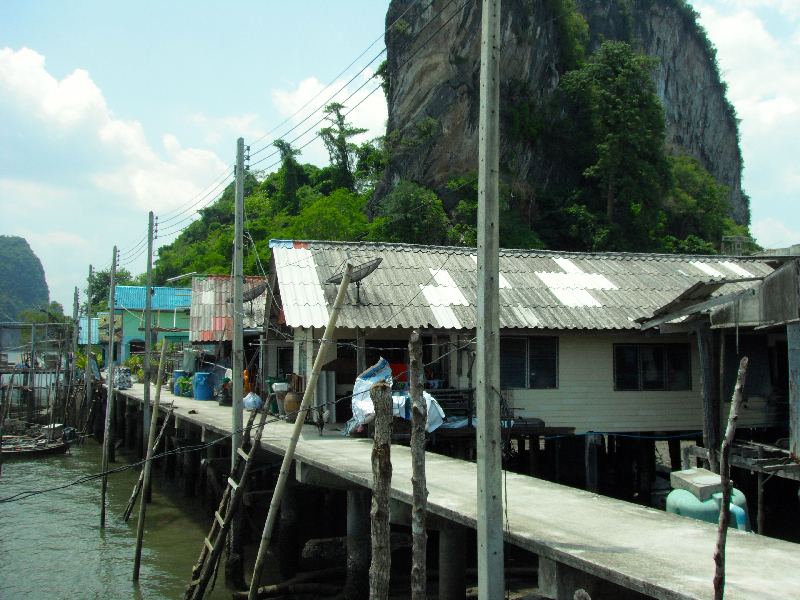 It was here that the 1974 film The Man With the Golden Gun was filmed. We took photos and swam…and attempted to re-enact a golden gun scene- those photos won’t be making this blog. 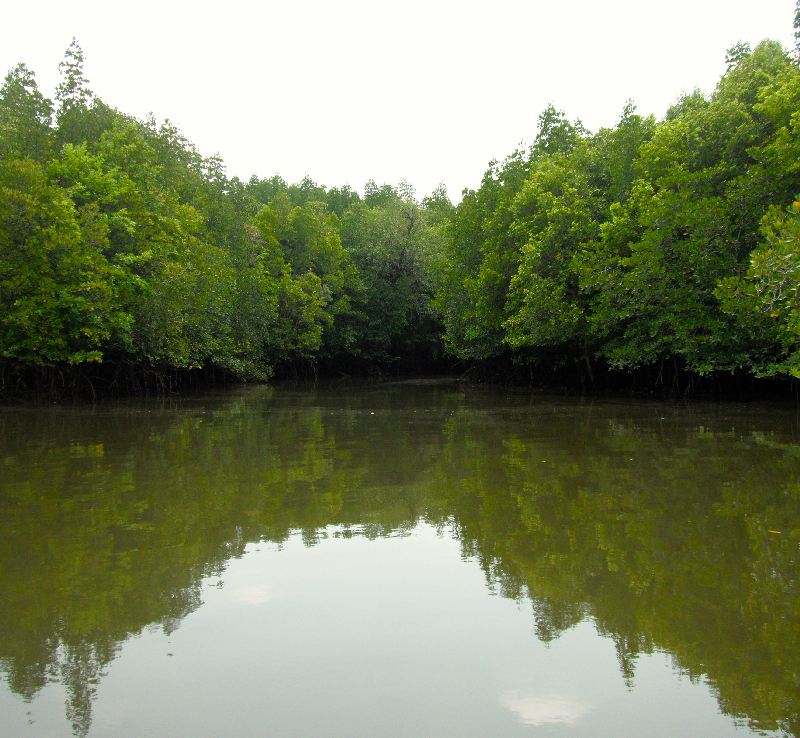 The area is also home to a huge mangrove swamps and the fishermen who live here. 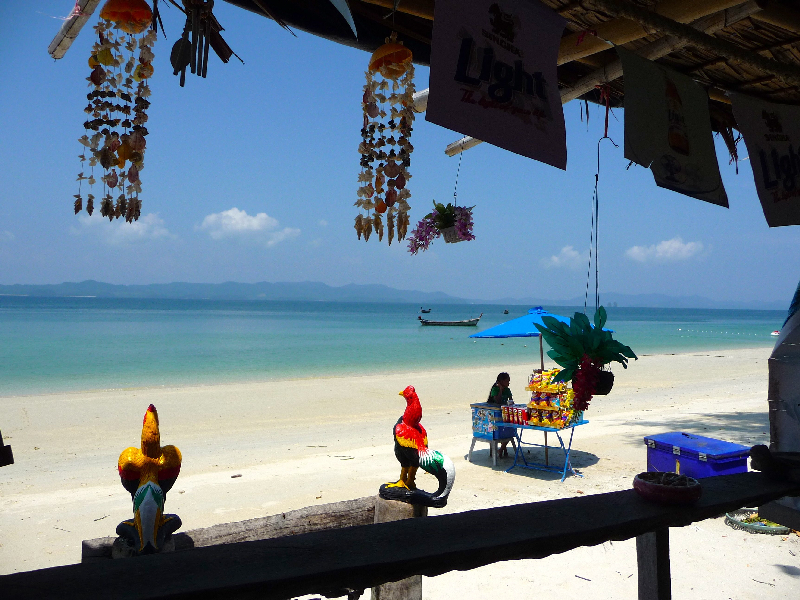 Dotted through the swamps are individual fishing huts and whole sea gypsy villages. 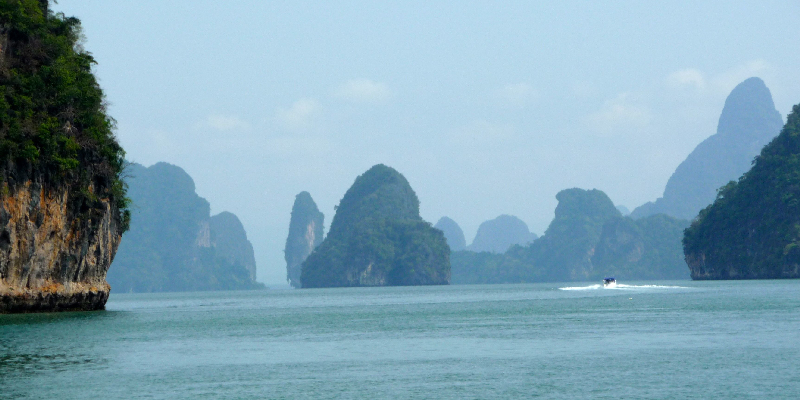 As beautiful as this all was, James Bond Island was infested with speedboats and locals selling the same sort of stuff that is being sold in stalls along Patong Beach- but at double the price. 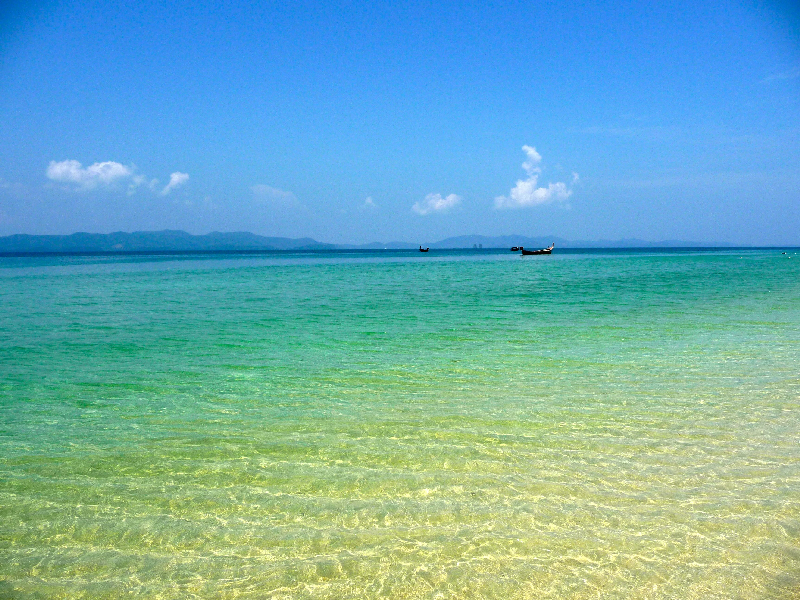 and no other speedboats…they arrived later.